Here is our Java program to convert String to int in Java. 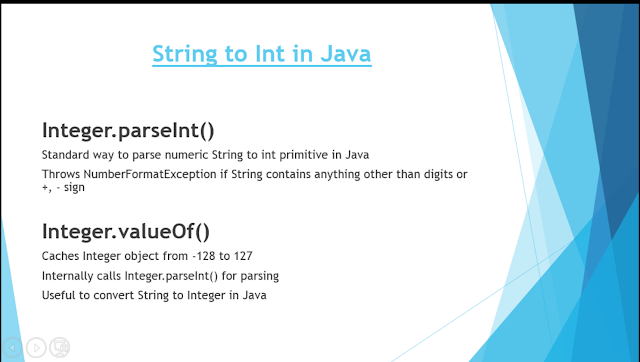 This example shows how to use both Integer.parseInt() and Integer.valueOf() method to parse a numeric String to an int primitive in Java. In this program, we ask the user to enter a number and then we read user input from the console using Scanner class as String. Later we convert that String using both Integer.parseInt() and Integer.valueOf() method to show that both methods work and you can use either of them. * 2 ways to convert String to int in Java. * User enters number, we read it as String and convert it to int using parseInt() method. Exception in thread "main" java.lang.NumberFormatException: For input string: "++201"
Exception in thread "main" java.lang.NumberFormatException: For input string: "2012a44"
You can see that Integer.parseInt() doesn't like anything other valid values in numeric String. You will get same errors even if you use Integer.valueOf() method because valueOf() method internally calls parseInt() method to parse String to integer in Java. That's all about how to parse String to int in Java. Even though parseInt() is the standard way to parse String to int, you should try to use Integer.valueOf() method. It implements Flyweight design pattern and maintains a pool of frequently used int values e.g. int primitives from -128 to 127 and that's how it save memory and time. Though, you need to be careful while comparing it because if you use equality operator (== )then Java compare their references and return true only if both variables are pointing to the same object e.g. one of the Integer objects returned from a cached pool. So you think that == operator is working but then you will see issues when Integer object is outside of that range, in that case, == operator will not work. In short, you have created a bug which is hard to find. See this story to learn more about this bug. 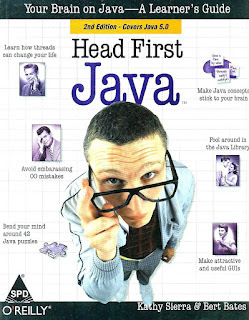 BTW, if you are learning Java and want to master fundamentals, I suggest you take a look at Head First Java 2nd Edition, they explain the concept in the easiest way possible but also brings out important details.